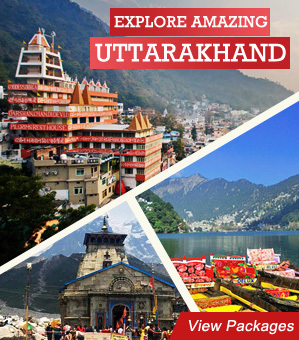 Planning a trip to Himachal? Wondering which are the top places to visit in Himachal Pradesh? Here’s our list of best places to visit in Himachal Pradesh. The literary meaning of the term ‘Himachal Pradesh’ is “In the lap of the Himalayas”. The widely spoken language in Himachal Pradesh is Hindi. Both the Ganges and Indus River receives water from Himachal Pradesh. What is unique about Himachal Pradesh is that it is one of the rare destinations in India where people head for summer holidays, family vacation, trekking and adventure sports like Para gliding and river rafting. Himachal is also one of the best place to go for honeymoon in north India. Himachal with an array of hill stations welcomes you take a nap in the lap of Mother Nature. Covered in verdant greens, surrounded by lofty valleys and encircled by gushing rivers, the sights gets etched in one’s memory for eternity. The regions in this state have an elevation of around 3000 to 7000 meters above sea level. The state is surrounded by Jammu & Kashmir in the north, Uttarakhand & Haryana in the south and Punjab in the west. It shares international borders with Tibetan autonomous region in the east. Here we have compiled the list of some famous tourist places to visit in Himachal Pradesh. Bestowed with the nature’s precious beauty, Manali has so much to offer to its tourists. It is located at a height of about 2050 meters above sea level. 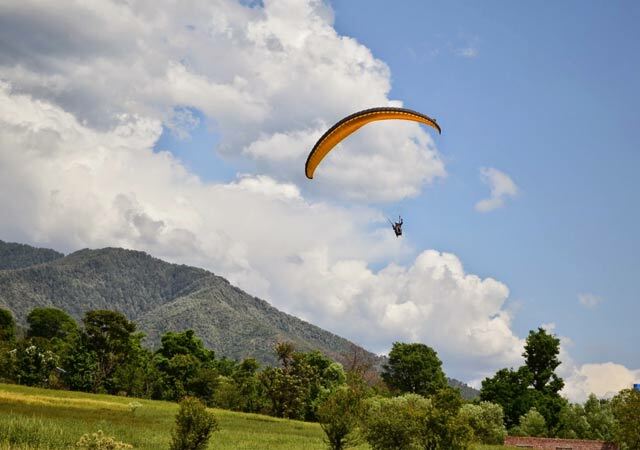 Not just the alpine scenery, the lush green forests and the snow clad lofty mountains lure the visitors but it is an ideal place for indulging in adventure sports. 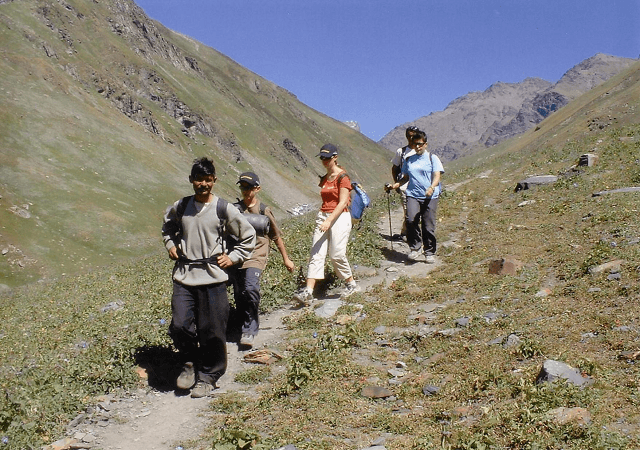 We assure you that Manali will make you capture its eternal natural beauty on foot. Most notable places to visit in Manali include Hidimba Devi Temple, Gulaba Camp, Malana Valley, Solang Valley and Rahala Falls. Best time to visit Manali is from September till December and from February till April. 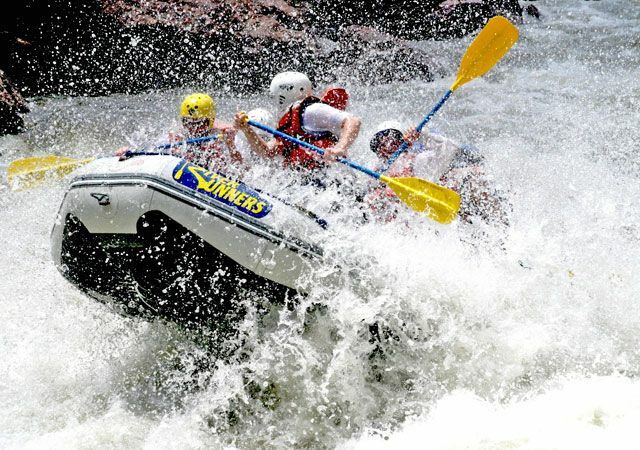 Manali is an ideal destination for summer holiday and nearby there are adventure sport ops like river rafting and Para gliding in Bir Billing. 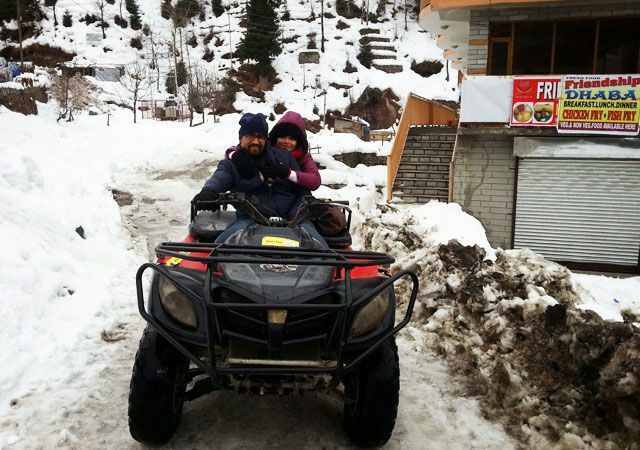 Honeymooners head to Rohtang Pass to indulge in snow sport activities. 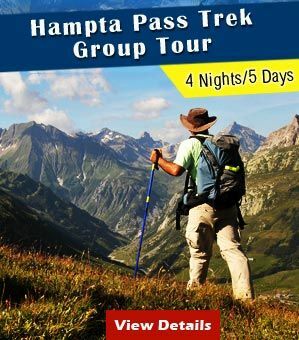 Rohtang Pass is a beautiful mountain pathway which is well-known for offering spectacular views of the snow-capped peaks. Situated at a distance of 51 km from Manali, Rohtang Pass is set at an elevation of 4111 m above sea level. 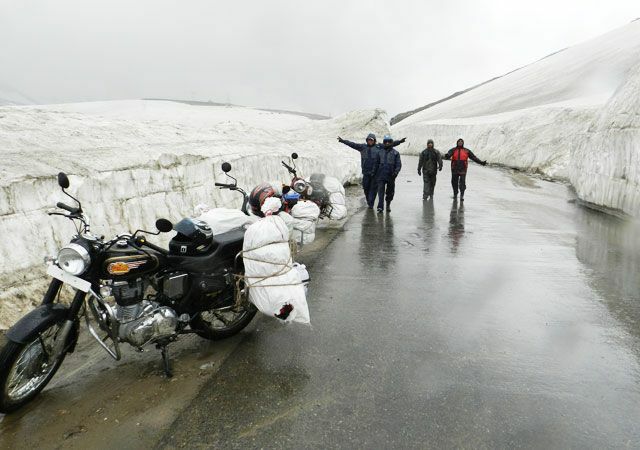 Rohtang Pass is a great place to indulge in activities like Paragliding, Mountain biking, Paragliding and Skiing. The scenic beauty and tranquility of the place make it a popular attraction of Himachal Pradesh. Rohtang Pass opens with the coming of May and closes in September as it receives heavy snowfall throughout the rest of the year. Counted amongest the most famous hill stations of North India, Shimla is blessed with the unconquerable beauty of nature and forms a part of most Himachal Pradesh tour packages and one of the most popular honeymoon destinations in India.The summer capital of India was discovered by the British Government in 1819 and since then, the place continues to attract tourist all the year around. Other than the natural beauty, the Victorian style buildings exhibit the breathtaking beauty of this hill town. Owing to its salubrious weather and breathtaking vistas, Shimla is named as the ‘Queen of the Hills’. Popular tourist places in Shimla include The Mall, Chadwick Falls, The Ridge and Jakhu Temple. Shimla could be visited anytime of the year but from December till February, there’s snowfall in Shimla which attracts newlywed quite too much. 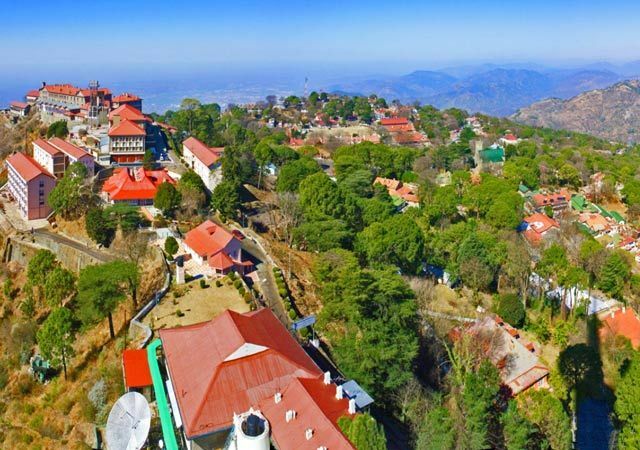 Families head to Shimla for summer holidays whereas youngsters and working people from Delhi escape to this scenic hill station as a preferred weekend getaway from Delhi. 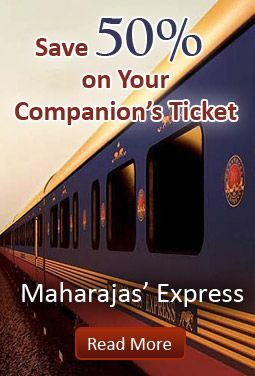 Related: Shimla Tour Package for Every Traveler! 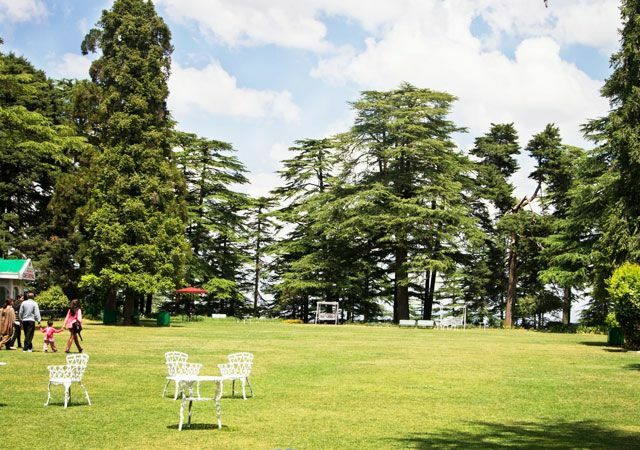 A picturesque hill station near Shimla and the most popular among snow lovers of Himachal Pradesh, Kufri was founded in 1819 by British who were spell bounded by the natural beauty and salubrious weather. A small distance form Shimla city, the capital of the state, the hill station has earned fame for being a skiing hotspot. It is home to oldest skiing slopes in the mountain state. Its gentle slopes are perfect for skiing and receives skiers from all over the world. An annual winter sports festival held in February, is organized by the travel and tourism department of Himachal Pradesh. Apart from skiing, adventures activities like tobogganing (sliding downhill on a sled) are quite exciting. A haven for nature enthusiasts and wildlife lovers as the Himalayan Nature Park is situated on the outskirts of the town. The beautiful hill station can be visited throughout the year but if your reason is skiing, best visit between December and February. Kasauli is a beautiful hill town full of relics of the British Raj. Nestled about 1950 meters above sea level in the Shivaliks, the hill station of Himachal Pradesh definitely calls for a visit. Leave all stress behind, breathe in the fresh pine-scented air. The misty ambience, the pretty walks and the spectacular views makes Kasauli a memorable experience. At 3647 meters the snowcapped peaks of Choor Chandini stand majestically among the lower hills. 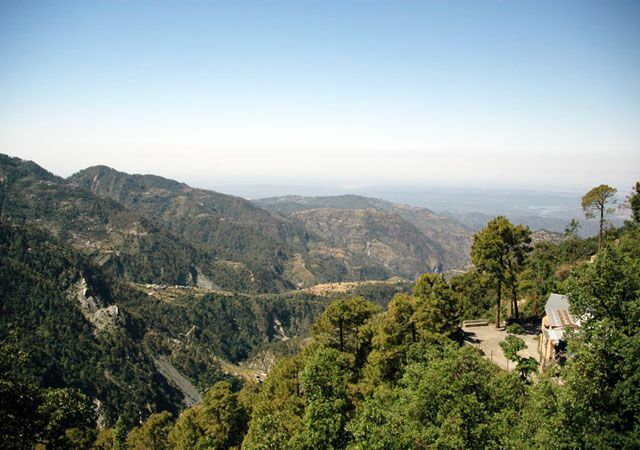 The highest point in Kasauli, known as Manki point is home to a Hanuman temple. The views are spectacular from here. The hill town enjoys proximity to other picturesque picnic spots in Himachal. The climate of Kasauli is salubrious around the year. Summers are pleasant and winter receive occasional snowfall, the monsoons are no less charming as playful clouds and mist surrounds you. Visit the hilly town anytime of the year and get charmed by its beauty. Also referred to as the ‘Mini-Switzerland of India’, Khajjiar is small and beautiful hill station, set amid thick green forests and fields. 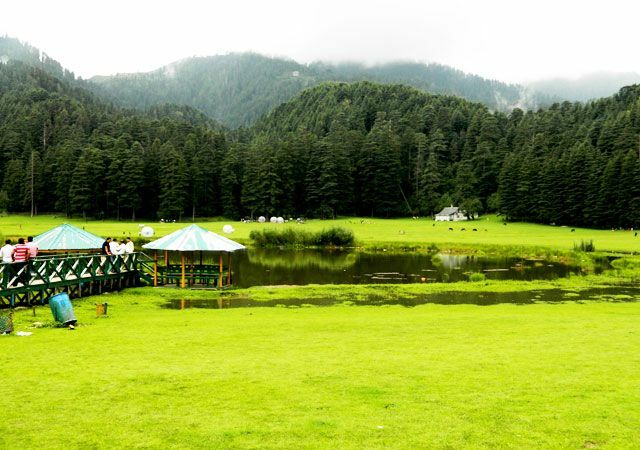 Offering complete treat to the eyes with its breathtaking locations, Khajjiar is a must visit for nature lovers. It is a great option if you wish for a rejuvenating holiday.Set at a distance of around 23 km form Dalhousie, Khajjiar is located at an elevation of 6,430 ft. A great retreat to beat the heat in summers, Khajjiar is one of the most popular tourist destinations in Himachal Pradesh. 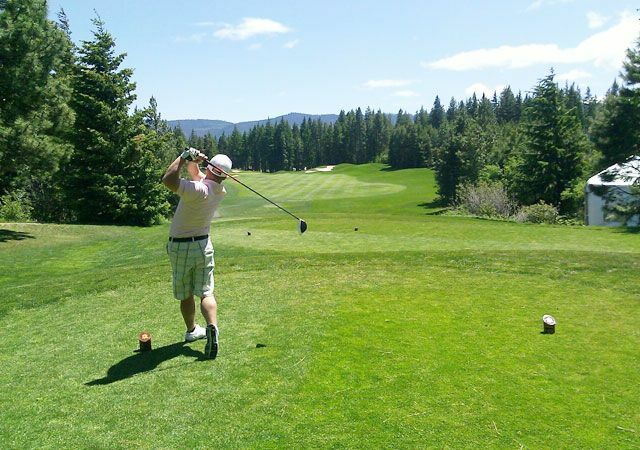 Take a stroll around those thick pine forests and soak in the scenic beauty of the destination. To enjoy the most of this destination, it is best to visit in between the months of July and December when the weather remains cool and pleasant. It is the perfect time to enjoy sightseeing. Immensely popular as a hill station and pilgrim destination, Dharamshala is a paradise for nature lovers, camping lovers and photographers. The seat of the Dalai Lama, Dharamshala showcases a unique world, inspired by the Dalai Lama and Buddhism. 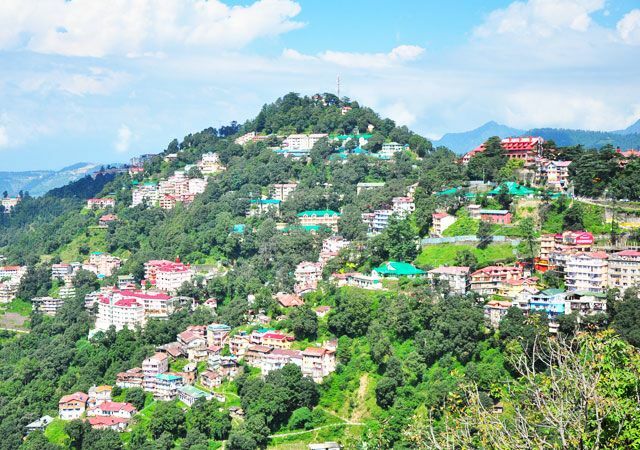 The hill station is split in two parts, lower Dharamshala and upper Dharamshala, which is known as McLeod Ganj. 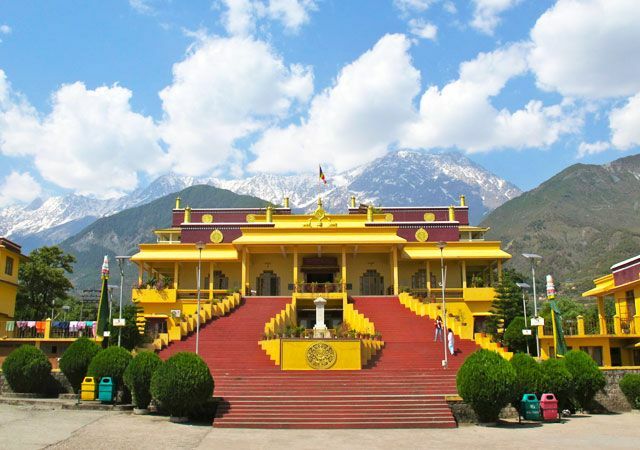 Popular attractions of Dharamshala include Kangra Fort, Bhagsunag Fall, Tsuglagkhang Complex, Tibet Museum, Naam Art Gallery, Dharamkot and Kunal Pathari Temple. The best time to visit Dharamshala is from the month of January to May and October to December. The weather remains cool, which is perfect for a great vacation with family and friends. Situated in the beautiful state of Himachal Pradesh, McLeod Ganj, one of the popular hill stations in India, is the residence of Dalai Lama, the chief of exiled Tibetan Government. The arresting beauty of this place fascinates tourists coming from different parts of the world. It is located in the Kangra district of Himachal Pradesh, at an altitude of 2,082 meters above sea level. This town is named after Lord David Mcleod, the lieutenant Governor of Punjab, and plays host to a population of around 10,000 people which includes majority of Tibetans. The region is also famous for its monasteries, handicrafts and culture. The major draw of McLeodganj is the Tsuglagkhang, the center of Tibetan Government in exile and the seat of Dalai Lama. McLeodganj also draws a lot of international visitors who come here to volunteer every year.For adventure enthusiasts, there a lot of hiking and trekking routes in Himalayas that begins from McLeodganj.Trek to Indrahaar Pass and Kareri Lake and Lam Dal are the most famous routes among the hikers. Chail is more serene and famed as a paradise for honeymooners as well as for hikers. People from different corners of our country love to spend their honeymoon here in Chail. 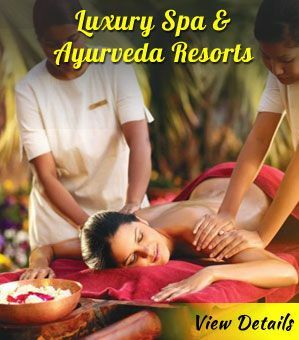 This tiny hill resort provides immense scope for honeymooners to completely suffuse with the sweet feeling of love. Some worth visiting places in Chail include Sidh Baba ka Mandir, Chail Sanctuary, Palace Sanctuary and Polo Ground. One of the most popular tourist destinations in India, Kullu is explored by many tourists as a valley of faith. Kullu is one of the most affable and magnetic tourist destinations in India. Located on the banks of River Beas, at an altitude of 1230 meters, Kullu allows tourists to witness the beauty of nature from close quarters. The valley is also famous for its exquisitely woven colorful handmade shawls and Kullu caps. One of the best places for Eco tourism and wildlife vacation in Himachal Pradesh is the Great Himalayan national Park in Kullu. There are a lot of hiking trails that visitors could take inside this verdant park. Prior permission is required to embark on hiking and trekking inside this wildlife sanctuary. One of the oldest hill stations in India, Dalhousie is full of charm and enjoyment. The hill station was named after the famous British Governor ‘Lord Dalhousie’. The effect of colonial architecture is apparent in the buildings of this tiny Indian hill station. It is snuggled between the Dhauladhar and Pir Panjal ranges. Dalhousie as a tourist destination invites tourists from different parts of the world throughout the year. Take a stroll through Satdara and Panchpullah and feel the beauty of nature from close quarters. 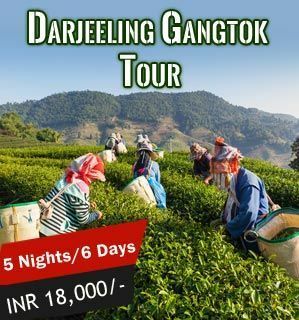 Other famous attractions in Dalhousie include Kala Tope Khajjiar Sanctuary, Chamera Dam, Jhandrighat and Lower Bakrota Hill.The famous Lower Bakrota Hill serves as a residence to over 50 Tibetan families. 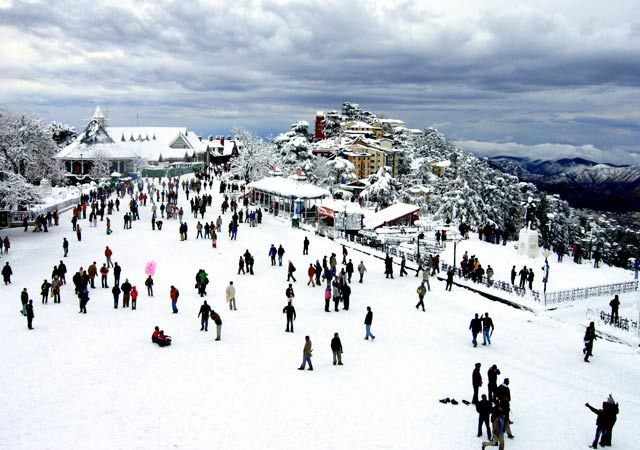 If you are planning your trip to this hill station then best time to visit Dalhousie in May. For honeymooners, winter is a preferred time as there is a lot of snow and seclusion. 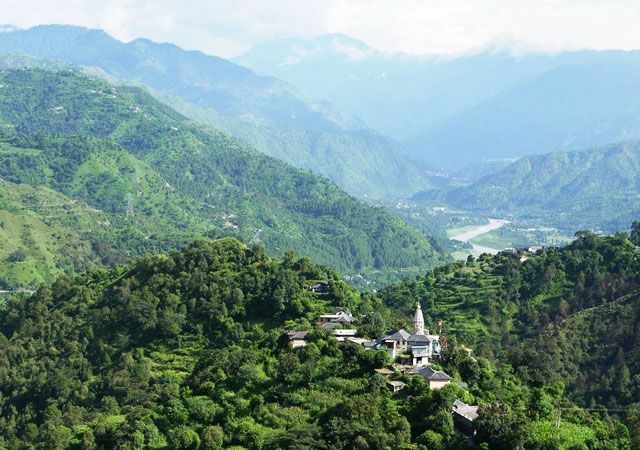 Situated in the Western Himalayas, in the Chamba district, Chamba is a small town famous for its natural beauty that touches your soul and senses. The town was founded by Raja Sahil Varman after his conquest over the petty chiefs called Thakurs and Ranas in the beginning of the 10thcentury. The valley offers magnificent sceneries with well-defined snowy ranges providing warmth and hospitality for an easy and comfortable tour. Located in the Indian state of Himachal Pradesh, Lahaul & Spiti are the two remote regions of Himachal Pradesh that are quite different in character. These two Himachal valleys are a perfect delight for trekkers and tourists. Lahaul and Spiti are located at a height of 3340 meters, in the north eastern part of Himachal Pradesh. Also known as ‘Little Tibet’, the village of Spiti is encompassed by breathtaking snow-clad peaks. There are a number of other monasteries which include Kunzum Pass, Kaza, Losar, Kibber, Gondla and Baralacha La. This region is also famous for its high altitude lakes which require trekking. The most famous lakes are Suraj Tal near Baralacha La and Chandra Tal near Batal. Chandra Tal also happens to be a Ramsar Site. Trans Himalayan treks are also made from this region from Spiti to Tso Mori Ri in Ladakh. 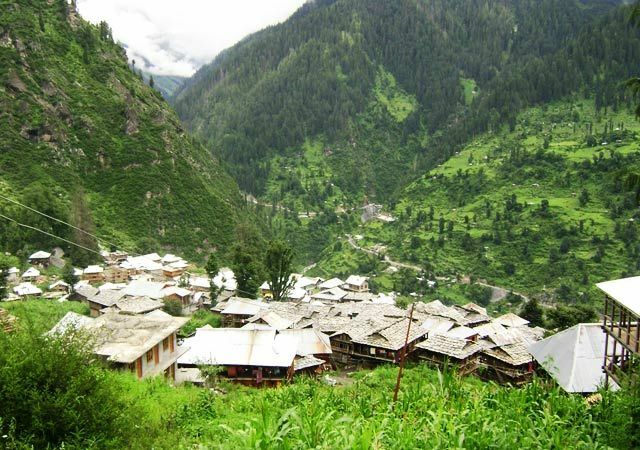 Malana village in Himachal Pradesh also known as the village of Taboos, the tiny village lies amidst the lush greenery of Parvati valley. The snow-capped mountains are a fitting backdrop. The crystal clear Malana nala flows through the village providing a melody is the only sound in the serene environs. For adventure enthusiasts there are exciting treks to the Deotiba and Chandrakhani Peaks. The secluded heaven has one of the world’s earliest democracy, their own set of primitive rules and culture. Some legends believe that the village inhabitants come from Alexander the Great. Some believe in local deities, but whatever be the cases these people are community loving people. The best time to visit is the pleasant months from March to September. Winters brings heavy snow and should be avoided. The district headquarters of Spiti, Kaza is a small and beautiful town, popular among nature lovers and adventure enthusiasts. 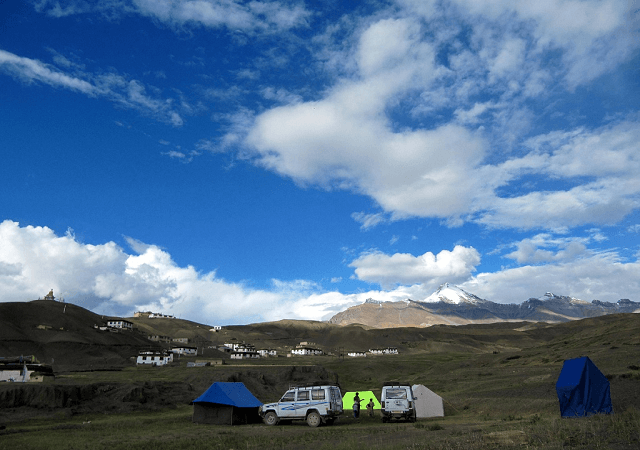 Kaza forms an ideal base camp for mountaineering and trekking which are directed towards other parts of the valley. Serene and captivating, Kaza promises a great and memorable holiday set amid its beautiful ambiance. Kaza has much to offer when it comes to tourist attractions. Some popular attractions of Kaza include Sakya Tangyud Monastery, Kibber Village, Gette Village, Langza Village and Pin Valley National Park. Best time to visit Kaza is from the month of May to September. During these months, the weather remains pleasant which is perfect for a great holiday. Sangla valley – Wonderland for nature lovers ! 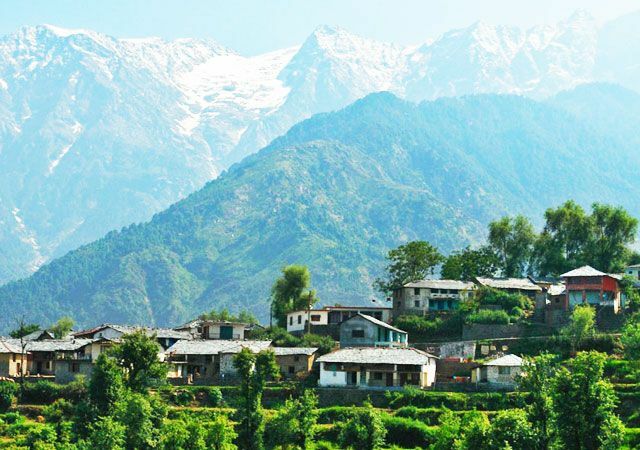 Blessed with scenic beauty in abundance, Sangla Valley is also rising as a major tourist destination in Kinnaur district of Himachal Pradesh, around 69 km away. 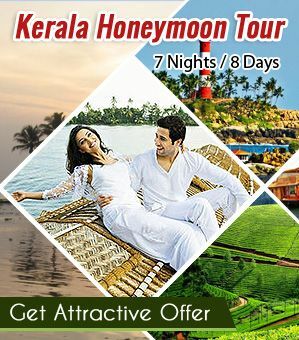 The place serves its visitors with several exotic locations and picturesque scenery and adding on to its charm is the pleasant climate making one’s visit more enthralling. 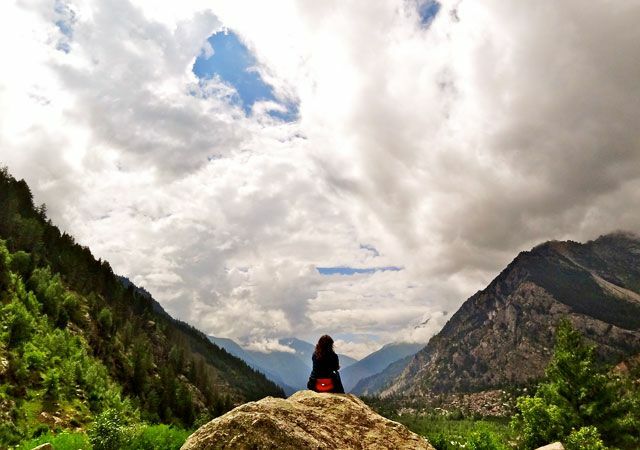 It is no exaggeration to call Sangla valley a wonderland for nature lovers where they can spend hours watching the magnificent views of Himalayas, lush velvet meadows and impeccable landscape. Sangla region is majorly known for growing fine quality apples and potatoes. Other than just spending leisure time in the lap of nature, one can also indulge in trekking, relaxing nature walks and trout fishing. Adventure enthusiasts can also opt for glacier trekking during the months of March and April. One of the prime attractions near Sangla is Chitkul village that is roughly 22 km away. Not to forget the best buys of the place such as woolen garments, Kinnauri shawls and shining silver jewelry with decorated with Tibetan pearls. Alia Bhatt in Tabo for Movie Shoot. Best known for housing Tabo Monastery, one of the holiest monasteries of India, Tabo is a small town set in the Lahaul and Spiti district. Tabo Monastery complex, the key attraction of Tabo is believed to be 1000 years old. The complex houses a number of temples which feature a number of wall paintings and mud statues. Tsuglhakhang Temple is a major tourist attraction of Tabo. The temple dates back to the 10th century and is known for its beautiful murals and wall-mounted stucco clay sculptures. Tabo also houses some cave shrines which also date back to the 10th century. This famous Buddhist pilgrimage site is a must-visit for those who are looking for serenity, away from the hustle and bustle of daily life. Keylong is a part of the district headquarters of Lahaul & Spiti. It is located on the main road to Leh over Rohtang Pass. 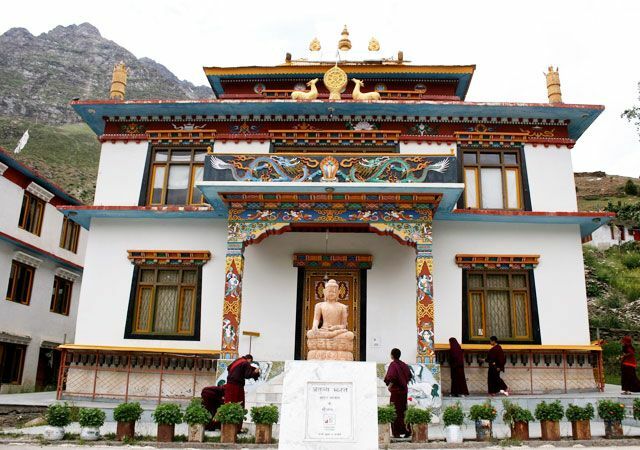 Kardang Monastery is the most important monastery in Keylong. Other popular sites near Keylong include Kardang, Shasur and Tayul monasteries. The annual Lahaul festival that takes place in July is a cultural extravaganza with a big, busy market and a number of cultural activities. Actually me and my friends are planning for 8 days trip to Kaza in Mid-Nov’15. Can you pls suggest is it a gud time to visit this place since I am searching out on few sites and observed that we might face problems particularly for water since the same freezes out in that period. 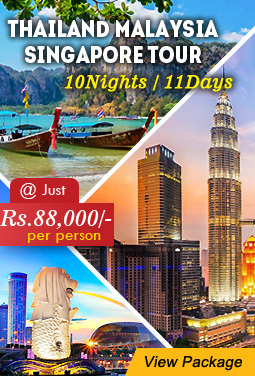 a) since you are an avid traveller can you suggest the best route to take for this trip.